Care to share your ideas? I've been uncharacteristically patient with this one and waited for the backscene to be finished before starting on the rest of it. Its one of the main lessons learned over the years that starting at the front tends to result in elbow shaped dimples in the ballast and plaster/paint blobs where they shouldn't be. Just drying out a bowl of wet sand now to mix with earth paint and give it some texture which I haven't done before but am hoping it will help smooth over some of the little holes in the plaster cloth. Also, less interestingly, have sprayed the track on the new storage yard bypass line so I can finish off the scenery here and ballast it. 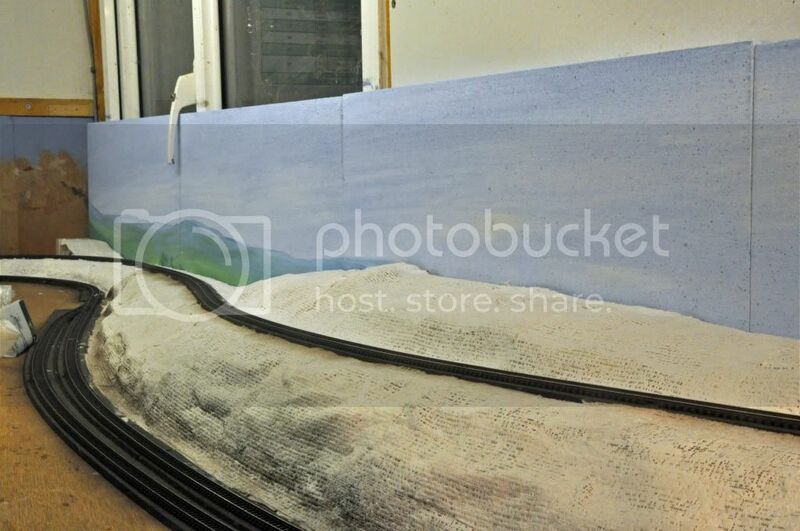 For the stock lovers, a shot of the same bit of track from a few days ago before it was painted with a new delivery of loco and wagons after the Mercig treatment. Its a bit grainy as I have to shoot at ISO 3200 at the back of the room there. Must get a tripod - are you listening Santa? 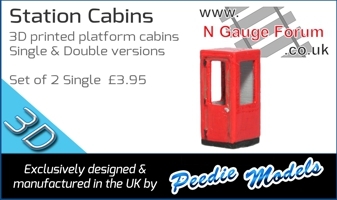 Very good, and I like the shot of the rolling stock. Great work, SD Can I ask what you used for formers underneath the rock bandage? 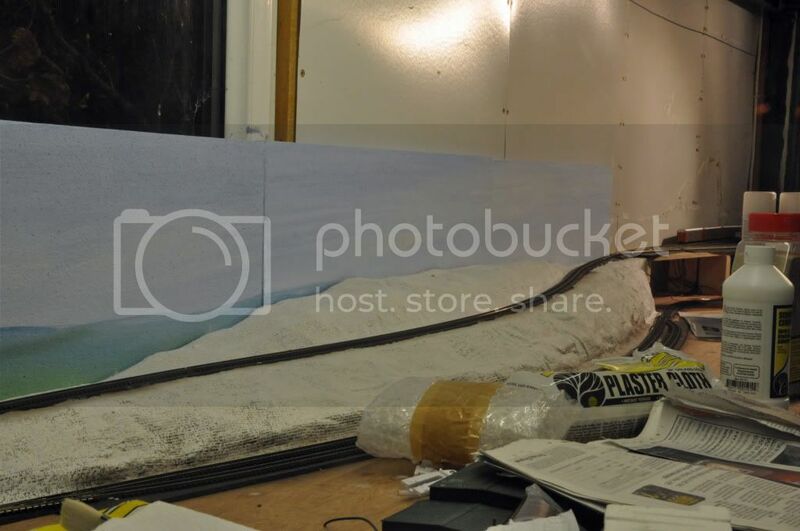 Nobby, the inclined track is laid on Woodlands Scenics risers and either side of that its just old copies of the Telegraph scrunched up and covered with masking tape to get the desired shape. Then the plaster cloth is layed over that. 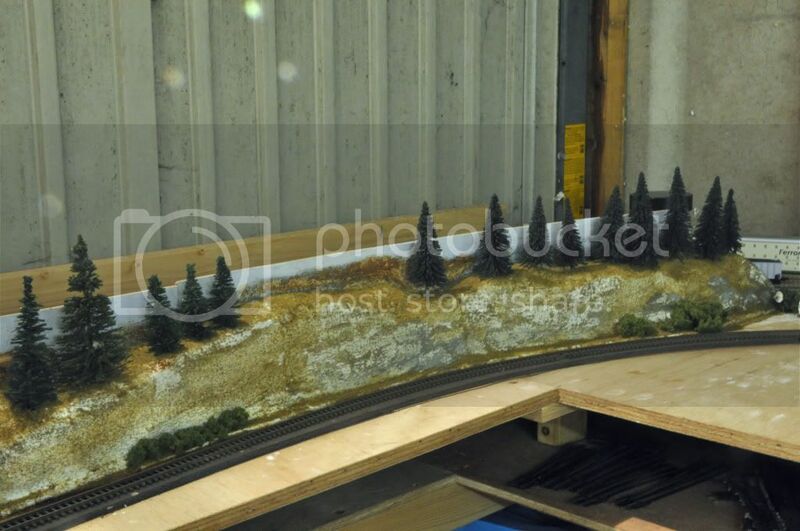 I have an awful habit when making a layout of laying the track and doing the electrics then umming and ahing for weeks/months while having little running sessions before getting on with the scenics. Now that I've started that area it should come on quicker. One benefit of taking pics is noticing which of your trees need de-wonkying. Thanks SD Mmm - de-wonkying, I bet they would have fun with that in Dictionary Corner on Countdown!! !